You won’t find better Raja Ampat accommodation prices than those offered by homestays. All the prices quoted on Stay Raja Ampat are for full board, which includes 3 meals a day and unlimited drinking water, tea and coffee. The current average homestay accommodation price is IDR 350,000 (about USD 24.00) per person per night. In Raja Ampat however, USD 24.00 per person per night will not buy you the same level of comfort and convenience that you would expect in other parts of Indonesia or elsewhere SE Asia. Raja Ampat is extremely remote and undeveloped. Fuel costs in the islands are much higher than the Indonesian national mandated (and subsidised) price. Virtually all the supplies required for your stay must be imported over great distances. 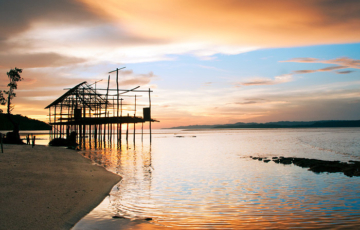 Local communities do not want to encourage the development of a cheap mass tourism market. It’s fallacious to equate Raja Ampat’s remoteness with that of somewhere like the Banda Islands or the Togeans in Sulawesi: Yes, those particular islands are further away from the city you leave from to get to them than the Dampier Strait islands are from Sorong, but a quick look at a map of Indonesia will show you that nowhere is further from Indonesia’s major population and industrial centers than Papua is. Kalimantan for example, is only 500km away from the production centers of Java. Sulawesi is 700km away. And both Sulawesi and Kalimantan have road networks that further reduce shipping costs. Even the Bandas, remote as they are, are only 1900km from Java. Sorong is over 2300km from Java. Infrastructure in Raja Ampat is minimal. There is no public transport available between islands, and with the exception of the capital of Waisai on Waigeo, no roads or vehicles to efficiently transport goods. There’s no electricity network: Most electricity is supplied from petrol powered generators. There’s no mobile phone network available in many places. No supermarkets or hardware stores. The only supplies able to be locally sourced in Raja Ampat are timber and other forest sourced building materials, sand, limestone and basic foods like fish, coconut, banana, sago and a limited range of local vegetables. Everything else must be imported. Many of those imports are not available in Sorong either and must be shipped thousands of kilometres to that port for onward distribution to Raja Ampat. As most homestay guests are (sadly) unwilling to drink boiled local freshwater, all drinking water has to be imported as well. Obviously the higher transport costs due to remoteness and high fuel prices mean that all these things are more expensive than anywhere else in Indonesia. There’s precious few places left in the world that can offer the experience available in Raja Ampat, and the last thing the people of the islands need is another high volume, low return tourism industry that dispossesses local communities. A robust low volume, high return eco-tourism industry that directly benefits local communities is essential to ensure the conservation of Raja Ampat’s incredible biodiversity and to avoid the dispossession and over-development seen in places like some of the Thai islands and Bali. 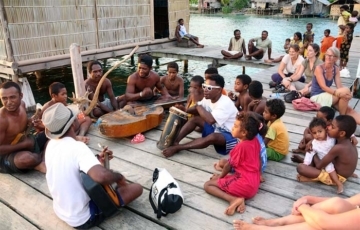 Prior to the development of the locally owned homestay accommodation sector the only accommodation choices in Raja Ampat were high-end liveaboard boats or resorts. 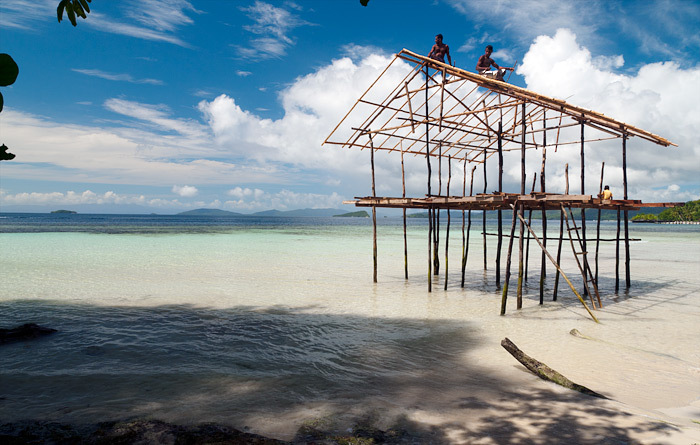 Homestays now provide a network of island getaways where you can experience traditional Papuan culture and hospitality. Homestay accommodation is not a ‘cheap’ option, but a lot more of your money will stay in the local economy, which then improves the chances that local government and the wider community will continue to support a sustainable tourism sector and thus make plans to protect the natural resources upon which this whole sector depends. Impoverishing the local people by driving down homestay prices would not only be unjust, it would actually unravel the essential social and political network that currently protects Raja Ampat from exploitation. It is to the credit of the homestay owners, that rather than simply demand money for entering their land, they instead want to build viable businesses that will provide a sustainable long term foundation for shared prosperity and development. By visiting their homestays, being flexible and open-minded, and leaving honest feedback, visitors can help to support the complex network of businesses, clans, families and other groups that are determined to protect Raja Ampat. If you’ve visited Raja Ampat (staying at homestays, liveaboards or resorts) and would like to provide your input on this and other subjects, please take a few minutes to respond to this survey. The results of the survey are provided to the Raja Ampat Homestay Association, its members, and other operators, and will help develop Raja Ampat’s locally owned eco-tourism industry for the benefit of operators and guests alike. If you don’t have ten minutes available to complete the survey, simply add a quick comment on this page. Or you can review and rate a particular homestay in the comments section on the homestay’s page. All constructive comments are welcome and will be provided to the Association and the homestay concerned as well. Brilliant articles – the dilemma of developing Raja for a demanding clientele is a tight rope locals must walk. Please no hot tubs and aircon – the Papuan culture must be preserved. i am yet to reach Raja Ampat but verily have received invitation from the locals. 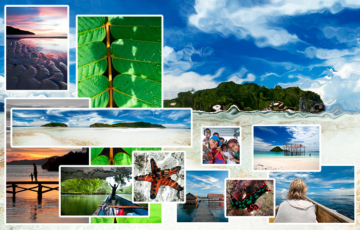 I wish to be a ‘friend’ of Raja Ampat’s and to the preservation of its invaluable landscape – i.e. nature.